David grew up in Plainview, NY. He received a BA in Mathematics from Brandeis University and an MS in Applied Mathematics from Stony Brook University. Before coming to YCT, David learned at Yeshivat Har Etzion in Israel. While in Semikha, David interned at Congregation Shaarei Tefillah in Newton, MA, and SAR High School in Riverdale, NY. He participated in the Summer Beit Midrash Program at the Center for Modern Torah Leadership in Sharon, MA, and was part of the rabbinical student delegation from American Jewish World Service to Mexico. He has published on numerous topics, from Talmud to Tanakh to Halakha. 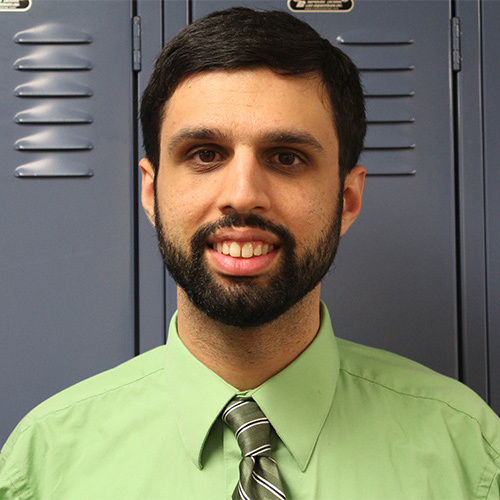 After graduating, he taught for 3 years at Frankel Jewish Academy (FJA) in West Bloomfield, MI, before coming to HHNE. He lives in West Hartford with his wife Molly and their son Elchanan.